Former West Aurora boys track coach John Bell has plenty of good memories of the Kane County Meet. This year’s Kane County Meet is significant for multiple reasons. 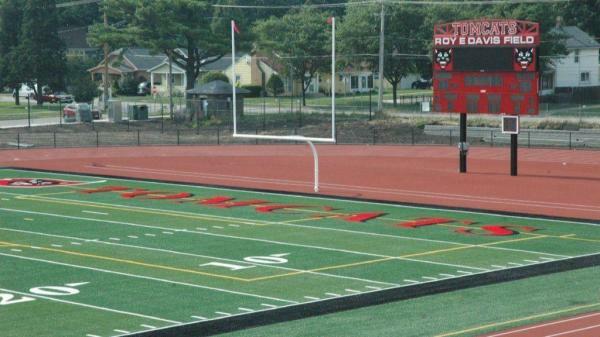 It’s the event’s 100th edition, and it will be the first track meet at East Aurora’s newly renovated stadium. “(County) will be very important to East Aurora,” said longtime East Aurora athletic director Cliff Pensyl. Having a new showcase for the county’s signature track event has added to the buzz. “I am so proud of East Aurora getting that beautiful new track,” Marmion coach Dan Thorpe said. “It’s the 100th anniversary, I can’t wait,” Marmion distance runner Michael Ronzone said at the Waubonsie Valley Red Ribbon Classic last Saturday. Nostalgia will be plentiful on Friday night. East Aurora has plans to honor multiple former team champions. Gascon is one to watch: Neuqua Valley coaches were not exactly upfront with Myles Gascon last Saturday at the Red Ribbon Classic at Waubonsie Valley. Myles had a showdown on the anchor leg of the 800-meter relay with Hoffman Estates’ Declan Rustay, an Illinois recruit who is the defending state champion in the 100 and 200. Rustay and Hoffman Estates edged out Gascon and Neuqua by 15-hundredths of a second, winning in 1 minute, 30.06 seconds. Gascon won the 100 in 11.22 and took second to Homewood-Flossmoor’s Grant Floyd in the 200 in a personal-best 22.61. Rustay did not compete in either event. Neuqua beat runner-up Homewood-Flossmoor 135-105 for its fourth consecutive win at the Red Ribbon. “It’s only the second time I have ever done it,” Gascon said of competing in four events at a major invitational last week. Kane County legacy: Compared to the Auroras and Tri-Cities programs, South Elgin is a relatively newcomer. But Storm coach Anthony LaRue is glad for the chance to add to the Kane County Meet’s legacy. Kevin McGavin is a freelance writer for the Beacon-News.